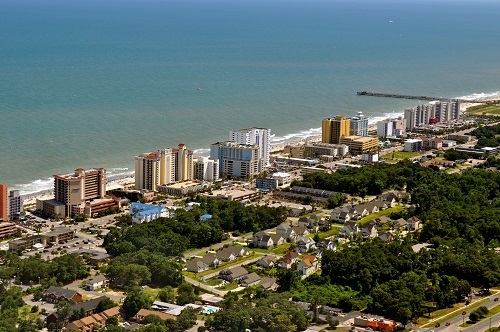 Myrtle Beach Air Force Base and is the third-busiest airport in the state. It’s categorized as a primary commercial service airport and served by numerous airlines, including United Express, United Airlines, Delta Air Lines, American Eagle, American Airlines, and Allegiant Air. Myrtle Beach International Airport features one asphalt and concrete paved runway and 50 aircraft. The major aircraft operations are air taxi, local general aviation, military, transient general aviation, and commercial. CXY, Cat Cays, Cat Cays, Bahamas. HST, AFB, Homestead, United States. NSB, North SPB, Bimini, Bahamas. OCA, Ocean Reef, Ocean Reef, United States. TMB, Tamiami, Miami, United States. TNT, Dade Collier, Miami, United States.